Add the Motorola Droid to the expanding list of hacked devices that give more adventurous users greater control over how they can use their smartphones. Late Tuesday Wired's Gadget Lab reported that instructions had been posted to an Android forum that supposedly show you how to gain administrator access to your Droid device. A hacked Droid would allow you to modify the operating system any way you want, and add functions to the device that may have been previously restricted. The problem is that, for the moment anyway, an online community providing customized Droid hacks doesn't exist yet. But that is likely to change in the not-too-distant future. Before you read on, keep in mind that rooting your Droid could brick your handset making it essentially useless. Also, tinkering with the inner workings of the software will almost certainly void the device's manufacturer warranty. So think carefully before you decide to try hacking your device. 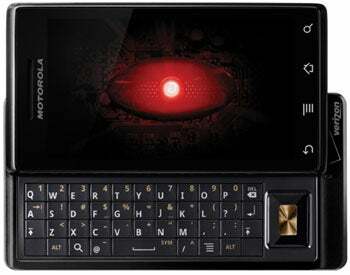 In Android lingo a hacked phone is said to be rooted as opposed to being unlocked or jailbroken. With a rooted Android phone you can change the handset's visual theme, customize the operating system and add multi-touch gestures. You could also use applications or functions that may be forbidden or restricted by your carrier such as tethering. The instructions found on AllDroid for hacking your device look pretty straightforward: download a .zip file, rename it, and stash it on your handset's SD card. After that you restart your phone while holding down several keys, and then install the exploit using an onscreen menu. I have not verified this exploit myself, so I can't vouch for it. According to the post, after the Droid has been hacked you can gain root access to the phone. But as I mentioned earlier, unless you already know how to modify to the Android OS, rooting your Droid won't do much for you at the moment. That's because software designed to take advantage of hacked Droids doesn't exist yet. Hacking communities already exist for many Android HTC phones, and other devices running the Android 1.6 operating system (Droid runs Android 2.0). So in all likelihood you won't have to wait that long for Droid-related modifications. But while you're waiting, you can check out what's already available for some rooted Android devices at the Android Spin database, the Cyanogen mod, and this dedicated Android hacking and modding site. Just remember: any tinkering you do with your Android device is at your own risk. So ask yourself if the benefits are really worth it, before trying to modify your handset.